The October 2018 murder of Jamal Khashoggi by agents of the Saudi government in Istanbul brought into sharp relief the deepening relations between Saudi Arabia and Israel: Israel had supplied Pegasus spyware to the Saudi government, which it used to surveille Khashoggi, and two of the Saudi aides that Crown Prince Mohammed bin Salman (MBS) fired for playing a role in the murder had been part of clandestine Saudi outreach toward Israel, including efforts to soften Israel’s image in the Saudi press. 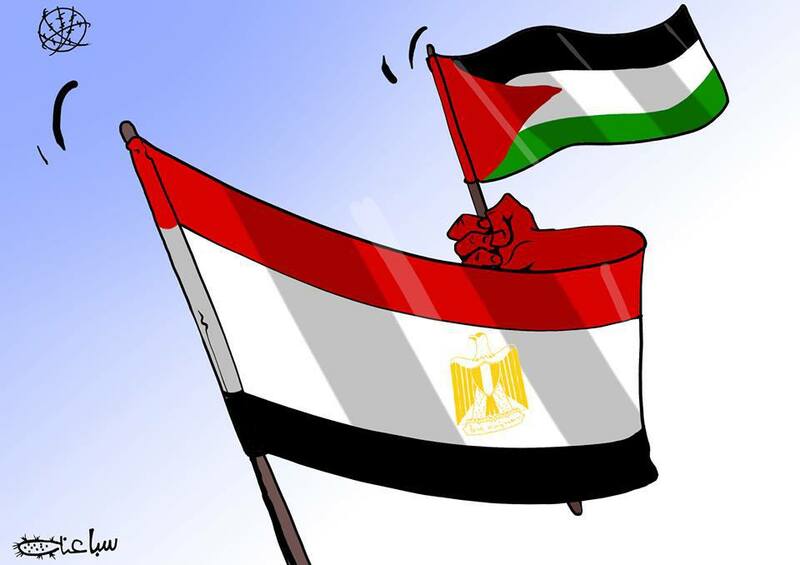 Why is the Egyptian Regime Demonizing Palestinians? 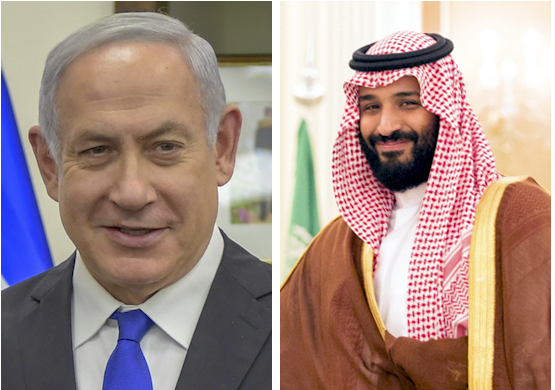 What has the Israeli-Saudi relationship meant for Palestinians and the Palestinian struggle for rights, and how does Khashoggi’s assassination affect it? Al-Shabaka spoke with Ibrahim Fraihat, Al-Shabaka analyst and associate professor at the Doha Institute for Graduate Studies, about the implications of the Khashoggi crisis for Saudi Arabia, and what Palestinians can do to counter the damaging Israeli-Saudi alliance. How has Khashoggi’s murder affected Saudi Arabia’s stature, particularly in regard to Palestine? The crisis brought the Israeli-Saudi relationship into the public eye as it had not been before. The sale of the Pegasus spyware in particular revealed the two states’ military and security collaboration. This public exposure works against their relationship, as Israel and Saudi Arabia would be undertaking even more together if their collaboration was still secret. Exposing the relationship also puts the legitimacy of the Saudi regime into question, especially regarding Palestine, Jerusalem, and the Al-Aqsa Mosque. It raises serious concerns about the regime’s stature on the Arab street. How has the crisis affected the Iranian-Saudi rivalry? The exposure of the relationship is a gift to Iran. What better way to shore up Iran’s stature than to show that its rival is collaborating with Israel and compromising on the Arab and Muslim world? Iran has used this by hyping the Saudi regime’s friendship with Israel in its media. This is ironic: Saudi Arabia collaborates with Israel because it wants help countering Iran, but in fact, the collaboration strengthens Iran’s hand by giving it ammunition in the media war. It’s a self-defeating policy for Saudi Arabia. What are other geopolitical repercussions for the Saudi regime? Saudi Arabia’s belief that the road to the hearts and minds of the White House goes through Tel Aviv is in error. The American leadership currently in the White House – Trump, Secretary of State Mike Pompeo, and National Security Advisor John Bolton – does not need any convincing about Iran, and as such Saudi Arabia does not need to work with Israel to achieve its agenda against the Islamic Republic. In fact, working with Israel puts the Saudis in a dangerous position, because Saudi Arabia has made itself vulnerable to Israeli exploitation. For instance, in the aftermath of Khashoggi’s killing, Israeli Prime Minister Benjamin Netanyahu spoke publicly about the need for a stable Saudi Arabia despite the murder. Israel will ask for a high price for such support. Saudi Arabia’s position in the US is also difficult now, with Congress seeking to sanction the Saudi regime. What policy recommendations do you have for Saudi Arabia? Saudi Arabia should cease all ties of collaboration with Israel, which in reality is not needed for its security. The US makes hundreds of billions of dollars in arms sales to Saudi Arabia every year, and as a result, the US offers the security Saudi Arabic needs vis-à-vis Iran. But ultimately, Saudi Arabia should work to develop its own security strategy that is not dependent on the US. It should also return to supporting its Arab Peace Initiative, endorsed by the Arab League in 2002, 2007, and 2017. Deviating from this initiative has lost Saudi Arabia soft power, decreased its regional leadership, and brought even more negative consequences to the Palestinians. Finally, the regime should be transparent about the Khashoggi killing, as no actors are taking its “investigation” seriously. This is how it can exit the crisis. How should Palestinians and their allies approach the Israeli-Saudi relationship? The Palestinians are in a tough position. Despite all that’s happening, I would recommend that they not abandon Saudi Arabia, as this will also play into the hands of the Israeli government. Through engagement, there is more of a chance for Saudi Arabia to return to the Arab Peace Initiative. The Palestinian leadership should also remember that King Salman, MBS’s father, has shown a more serious position when it comes to Palestine, both before and after his son’s statement on the “Deal of the Century.” It is generally believed that the king does not support MBS’ views on Palestine. Moreover, the Saudi public is very supportive of the Palestinians, and this gives Palestinians leverage. Although Saudi Arabia has a highly centralized system, leaving little room for civil society, Palestinian opinion leaders and writers can reach the Saudi public through their writing. 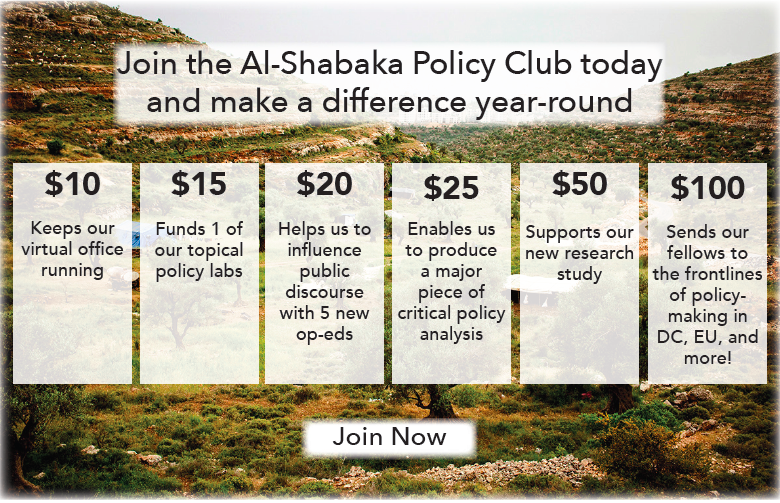 From the Washington Post to Al-Hayat to Al-Shabaka, Palestinians can spread public awareness about their quest for their rights and how the Israeli-Saudi relationship impedes it. We should not underestimate the importance of such awareness regarding the Palestinian question. 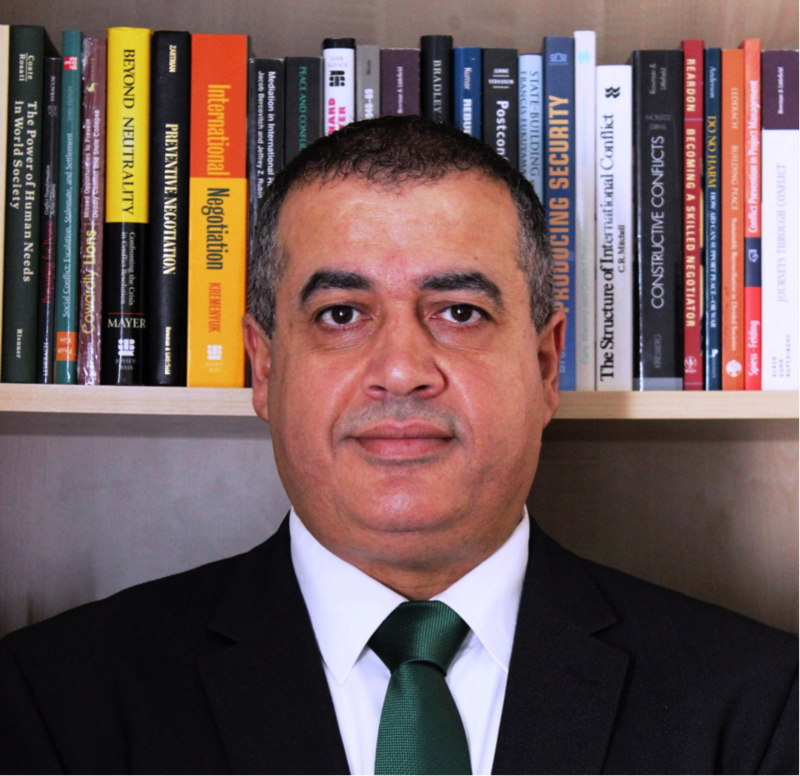 Al-Shabaka Member Ibrahim Fraihat is a professor of international conflict resolution at the Doha Institute for Graduate Studies, and Affiliate Scholar at Georgetown University. He previously served as Senior Foreign Policy Fellow at the Brookings Institution, and taught international conflict resolution at George Washington University and George Mason University. His latest book is Unfinished Revolutions: Yemen, Libya, and Tunisia after the Arab Spring​ (Yale University Press, 2016). He is the recipient of George Mason University's Distinguished Alumni Award (2014) for his achievements in the field of conflict resolution. ​Fraihat can be followed on Twitter @i_farihat.